You’d think it wouldn’t start until the teenage years – pre-teens at the earliest. But it can start much, much earlier, to the surprise – and immense frustration! – of most parents. It can be infuriating on many levels, not least because you feel like your child is just being rude. But also because, when you ask your child to do something, you just want them to do it, right? There are a few reasons why this happens. One is to do with power and control. Nobody likes to feel powerless or out of control, least of all children. So, when you essentially take away their power by telling them it’s time to turn the TV off or it’s time to get ready for bed, the frustration that they feel fuels their need to try and re-establish a sense of control or gain back some of the power they feel they’ve lost. And talking back is one of the most effective ways for them to do that. Another reason is to do with disconnection. (In fact, most of the time when children behave in a way that suggests they aren’t ok, disconnection is the go-to explanation). It’s a sign that something has gone wrong somewhere along the way and it needs fixing. This is linked to the loss of power and control – remember that when children feel under attack (and yes, that’s how a request to turn off the TV could be interpreted by them) they move very quickly into “fight or flight”, and the talking back response is their defence mechanism. And sometimes it’s just because that’s who they are! 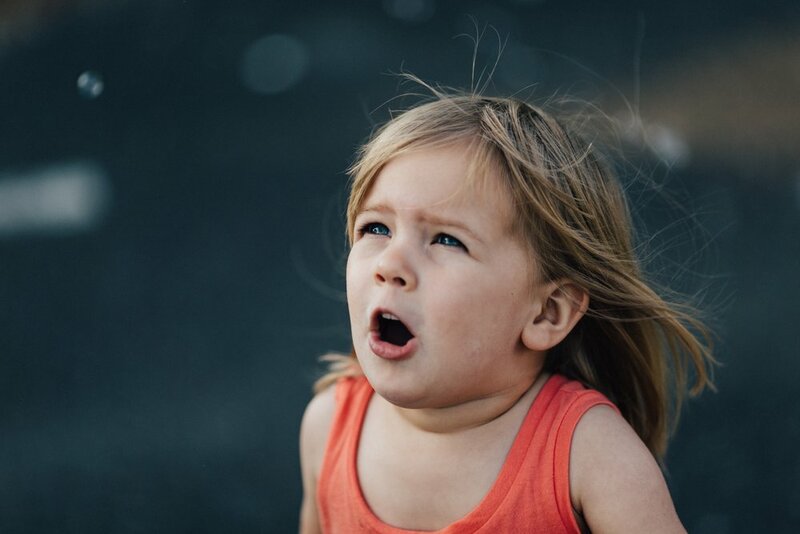 If your child is one who knows her own-mind, who is “strong-willed” and often likes to take charge, then this is a natural – even involuntary – way of being for them! But before you take to tearing your hair out wondering how you are going to put up with this until they eventually leave home, this doesn’t mean you can’t do something about it. Well the truth is that it starts with you. With you and your perception of the behaviour. When you label the behaviour as ‘rude’ or ‘disrespectful’, it riles you and makes you think it’s unacceptable. This makes you feel angry, you react, and a heated exchange ensues. One of the best ways to alter your perception is to reframe the way you see the behaviour. Reframing the behaviour in a positive way will help to remove some of your negative feelings around it, and enable to you to manage the situation in a much more measured way. It’s so tempting to respond to the back chat. But resorting to “You will do it because I’ve said so” or “Don’t speak to me like that!” very rarely, if ever, results in the outcome you want. If you can recognise when it’s happening and take a moment to stop yourself from diving in with an unhelpful response, you’ll be better able to handle the situation far more rationally than if you steamroll in. And it’s in this moment of stepping back that you can try to reframe the behaviours to help move you through the situation more successfully. Use your newly reframed perception of the behaviour to respond to your child. A parent I once worked with found this to be her best tool for responding to her daughter’s talking back. On one morning when her daughter seemed to come up with every reason under the sun as to why she needed to have a biscuit before eating her breakfast, her mum told her that she appreciated her ‘top negotiation skills’, but that she needed to eat her breakfast first. She kept her cool and they worked it out. Now this was by no means easy as I’ve made it sound, but by shifting her perspective on the behaviour, remaining calm and thinking about how she responded to her daughter, this parent was able to successfully manage a situation that would otherwise have escalated and been difficult for them both. 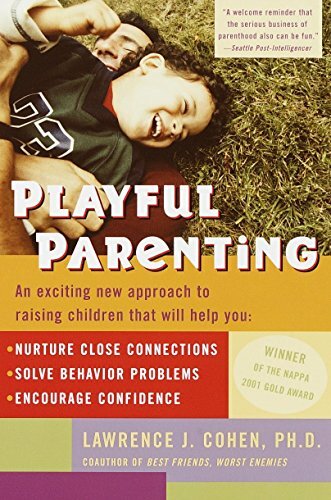 Parents often tell me that they don’t like to be playful with their children when their behaviour is less than desirable, because they believe play is about having fun. The reality is that play is often your ticket out of behaviour hell! The guru of all things Playful Parenting, Lawrence Cohen, reminds us of this so well in his book of the very same name. Play is so important for children on so many levels. We don’t find it hard to see how children enjoy themselves when playing, or even that they can learn through play. But it’s also one of the best ways for helping children to process big, difficult feelings. Not only that, but it is one the easiest ways to re-establish a broken connection between you and your child. Staying in control of a situation that triggers you isn't easy. Trying to change your reponse when you're used to responding in a certain way isn't easy. Being a parent isn't easy! But you can make it that little bit easier by choosing how you do it - in other words, by being mindful about how you do it. Which is exactly what we're all about.